Guangzhou Event Tent Transparent Dome Tent including frame dome tents and inflatable dome tents,can use for hotle,garden ,party,wedding ,big events etc,popular size is 8m,10m,15m,20m,25m etc.This series are good looking and lightweight for transport .The inflatable domes design with double PVC fabric ,easy set up and full air inflation can use over 48 hours one time. or other accmmodation types adds a whole new dimension to your experience. The Min. 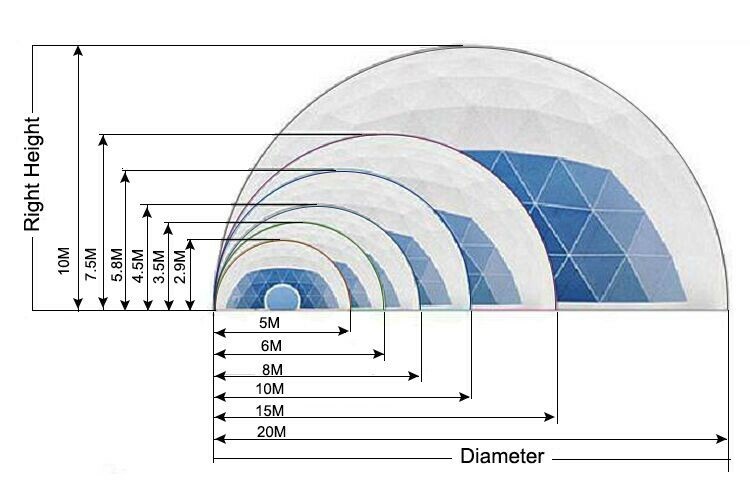 of our Transparent Dome Tent is from 4m (13ft) to 60m (197ft) Diam. We got white double coated PCV coated polyester fabric walls, clear double coated PCV coated polyester fabric walls and all galss walls, with the hard PVC roof and galvanized steel frame structure. 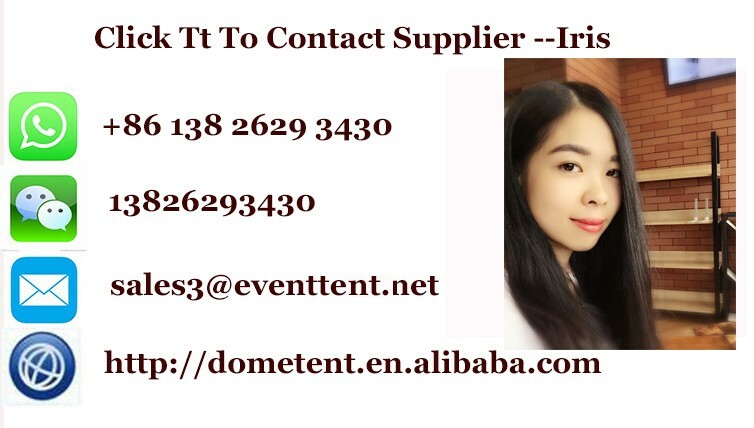 Guangzhou Event Tent's Transparent Dome Tent is our speciality: whether it's a wedding to remember or a corporate bash to impress your clients, our Transparent Dome Tent can make it perfect. 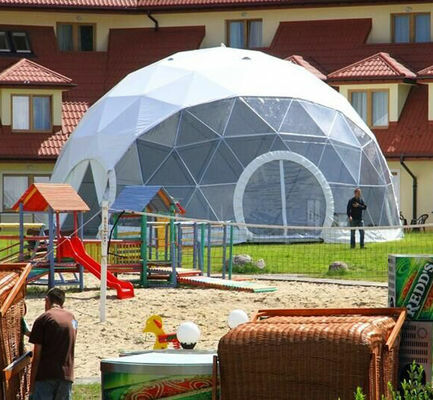 Our Transparent Dome Tent is a adaptable to your vision. 1. 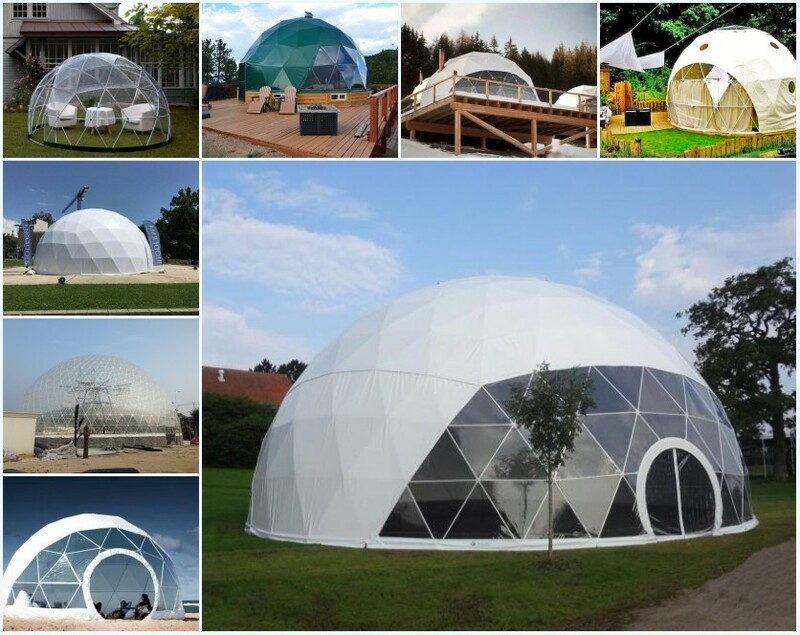 Specialized in producing Transparent Dome Tent: Transparent Dome Tent is our main product. We specialized in producing any style tent, we are the only Transparent Dome Tentent manufacturer to producting 50m diameter one. 2. Leading advanced technology: In China, we have the leading advanced dome tent technology, skill to produce high quality low price dome tent. The Transparent Dome Tent the size we can produce is from diameter 4m to 60m. 4. Good quality after sales service: we can supply easy understanding assemble instruction and drawing for you to install the tent. If needed, we also can send technicians to guide the installation for free. But you need to cover the cost of visa, round trip air tickets, accommodation, food and other expense during the installation.